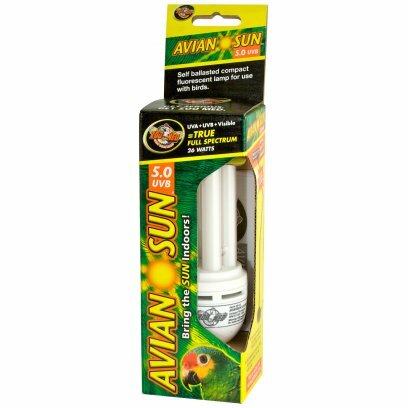 The AvianSun 5.0 UVB compact fluorescent provides birds with safe levels of beneficial UVB and UVA for physical and psychological health. 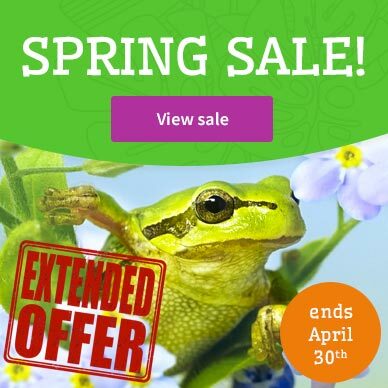 UVB enables birds to synthesize vitamin D3 for proper calcium metabolism which is necessary for normal growth, maintenance of strong bones, and egg production. UVA is visible to birds, enabling them to recognize mates, locate food, and identify different species. Without UVA, birds are essentially colorblind! 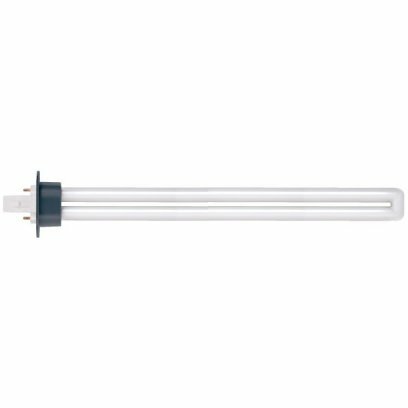 Replacement lamp for the Arcadia D3 7% Arc Pod unit. 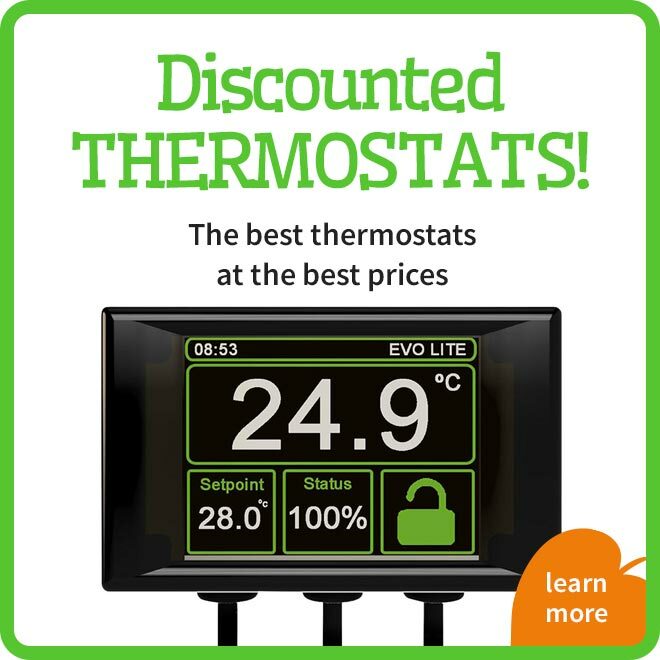 The D3 Arc-Pod is low voltage, energy efficient, electronically ballasted so it is flicker free and rated to waterproof ?IP67? 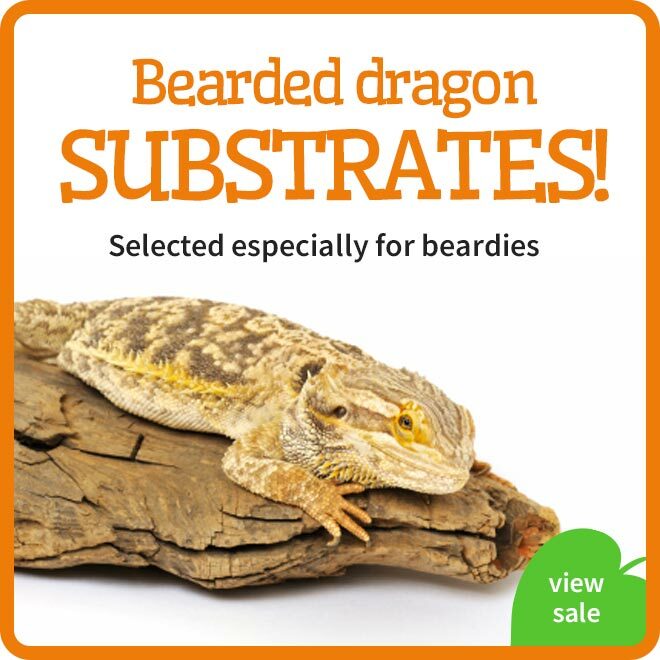 and fits easily and securely onto the glass sides of a terrarium or aquarium. 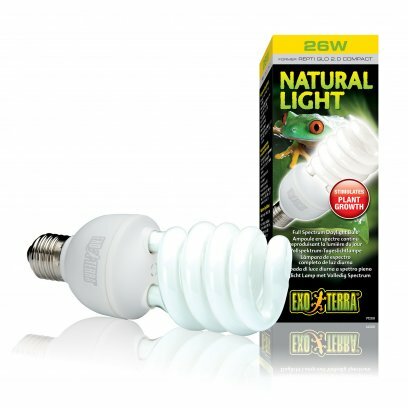 The Exo Terra Natural Light is a full spectrum daylight bulb with a very high visual light output and high color rendering index (98 CRI). 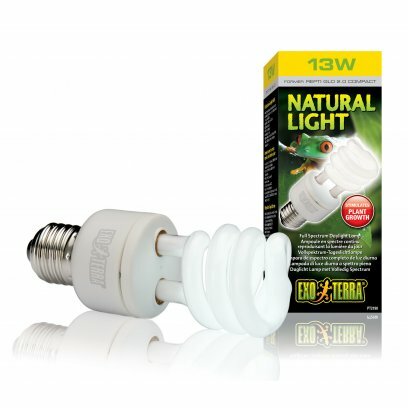 With its high visual light output and 6700 K Color temperature, the Natural Light Terrarium Bulb is recommended as general light source for all terrarium types. 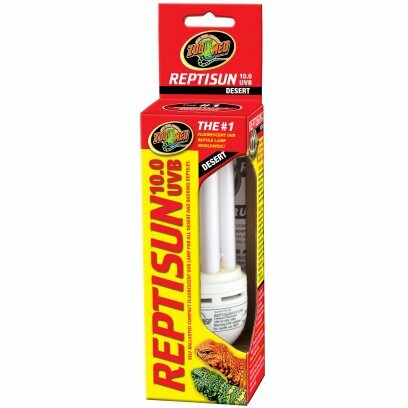 The high light output makes this bulb suitable for planted terrariums and it is ideal for animals with lower UV requirements, such as snakes, amphibians (frogs, toads and salamanders) and nocturnal animals. 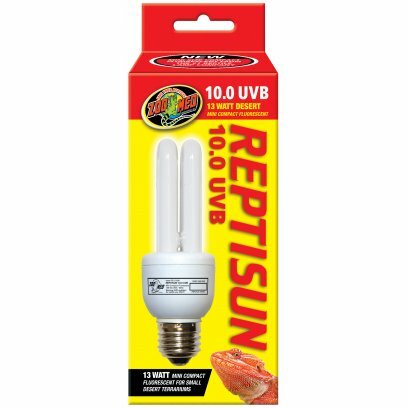 Combine this full spectrum daylight bulb with Exo Terra's Reptile UVB100, Reptile UVB150 or Reptile UVB200, depending on the reptile's UV requirements, to intensify natural sunlight conditions. The Exo Terra Reptile UVB100 emits optimal levels of UVB, similar to that of shady environments such as rain forests or other tropical locations. 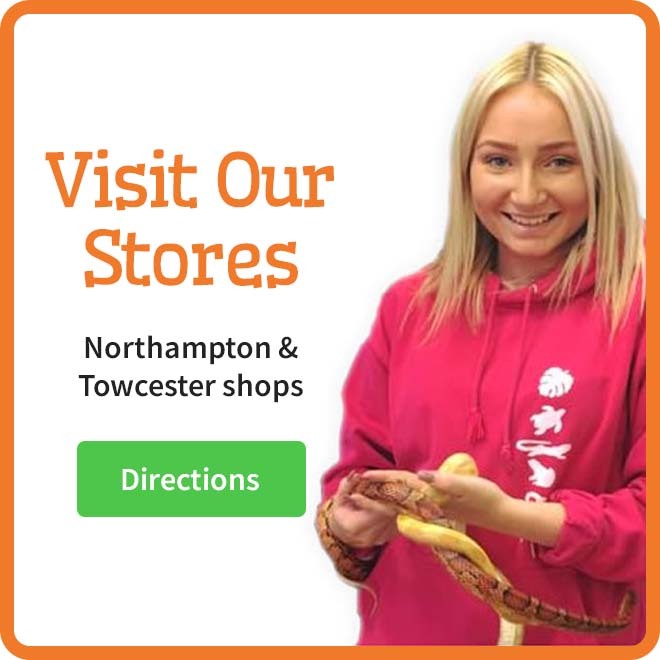 Reptiles living in these habitats receive moderate UV radiation due to climatological conditions (fairly high humidity, changes in weather, etc) that prevent unfiltered sunlight from reaching the reptile's basking site. 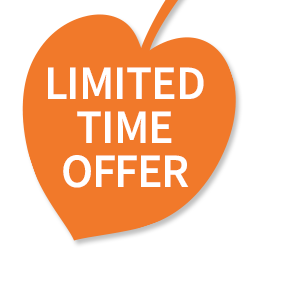 The optimal Vitamin D3 yield index ensures vitamin D3 photosynthesis to aid calcium absorption and prevent metabolic diseases. The reptile eye is more sensitive than the human eye to other wavelengths within the light spectrum. Previously, bulbs have been developed towards human vision. 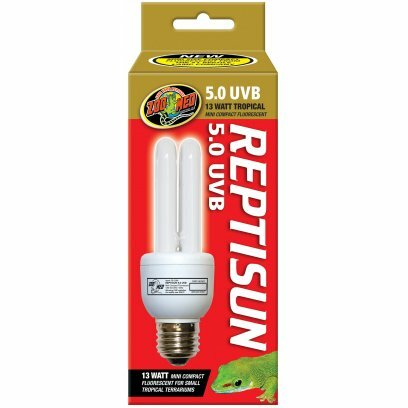 The spectrum of the Reptile Vision Bulb peaks in those wavelengths important to reptiles. 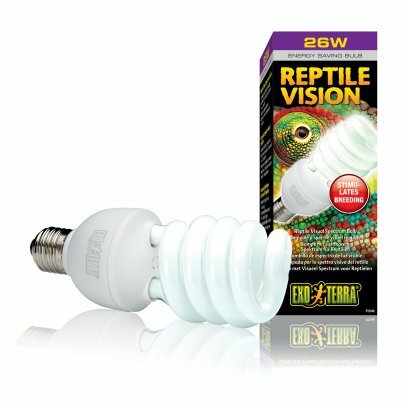 As a result of the vivid wavelenghths of light provided by the Reptile Vision Bulb, reptiles will experience and perceive colors from their environment more naturally. 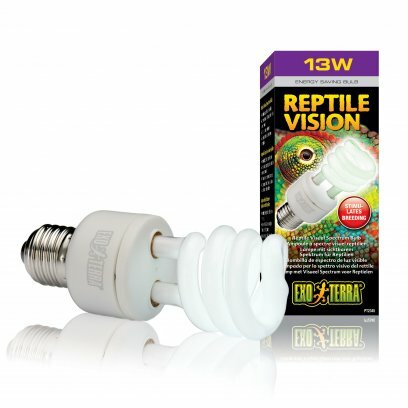 The Exo Terra Reptile Vision Bulb will help to improve the living conditions and physiological wellbeing of your reptiles. 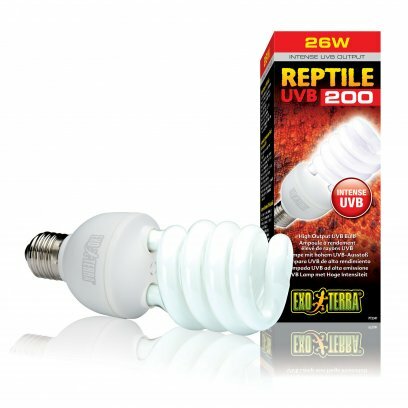 Combine with Exo Terra's Reptile UVB Bulbs to create the perfect conditions for your reptiles. 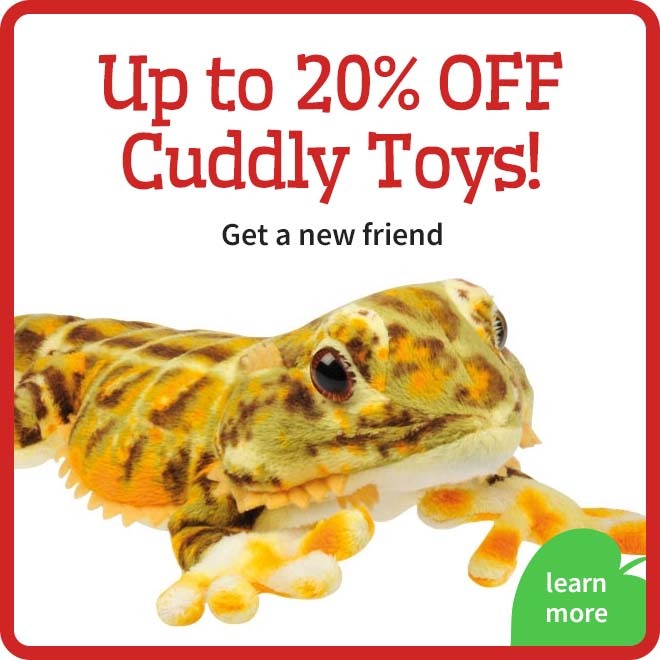 Forest species such as the Day Gecko, require lower levels of UVB and should be kept under an appropriate sized 6% UV-B D3 lamp, which contains ample levels of UV-B radiation for such species. 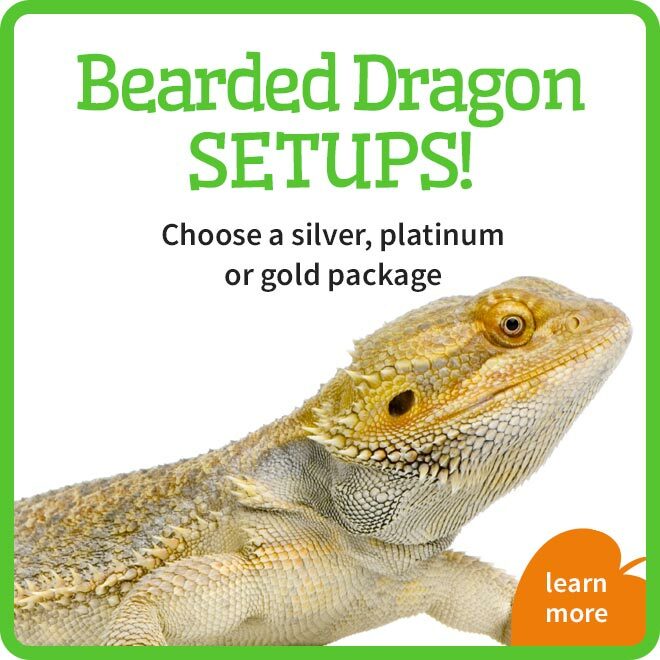 Desert species such as the Bearded Dragon, require higher levels of UVB and should be kept under an appropriate sized 12% UV-B D3+ lamp, which contains ample levels of UV-B radiation for such species. Replacemnet lamp for the Arcadia canopy. 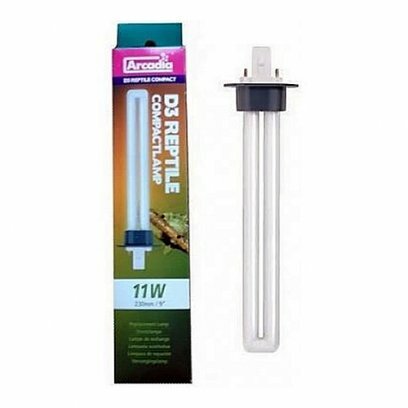 The Exo Terra Turtle UVB Fixture is specially designed for Aquatic Turtles and is perfect for use with the Exo Terra Turtle Terrariums. 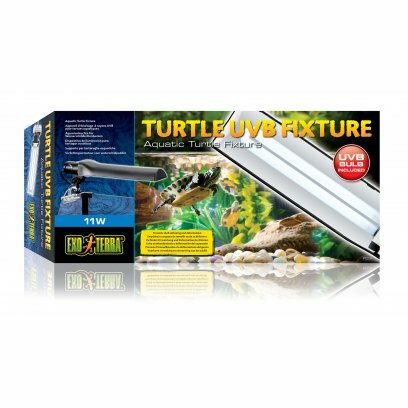 The Turtle UVB bulb's balanced ultraviolet and visual light spectrum prevents shell softening and deformation while, adds to the physiological well-being and brings out the beauty of aquatic turtles. 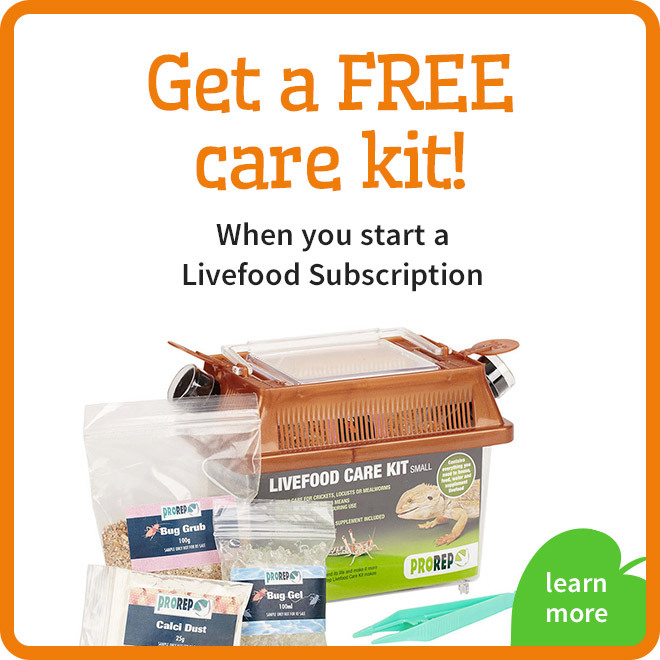 The bulb will contribute to the overall health of your turtles by providing the necessary UVB rays for optimal calcium metabolism while the UVA rays will contribute to the turtle's welfare. The Arcadia Reptile 55w D3+UVFLOOD is a brand new, powerful, ready to use fitting that uses cutting edge High Output T5 technology to provide high quantities of light, rich in UVB into reptile enclosures. The fitting is IP67 waterproof and flicker free. The special flood reflector harnesses the full power of the lamp and directs this light downwards as a flood where it is needed most. 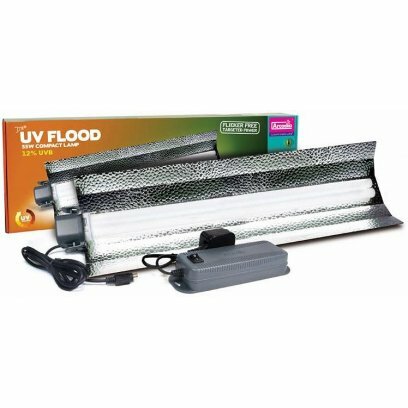 The 55watt D3+ UVFLOOD is easy to fit into a standard vivarium with the addition of just two appropriate screws or it can be safely rested onto of a screen mesh. The single cable can also be unplugged from the fitting to aid with ease of fitting. 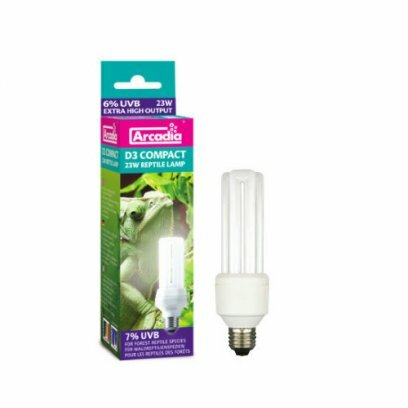 The Arcadia Reptile 55w D3+ UVFLOOD also benefits from having a separate power switch on top of the controller box which allows the unit to be easily switched on and off. 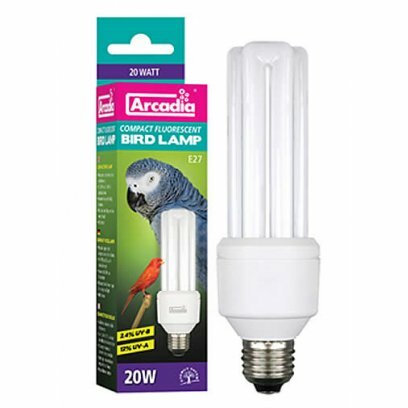 The branded and replaceable Arcadia Reptile D3+ 55watt T5 Power compact lamp is included in the kit and being of the highest German made quality is guaranteed to be upper index potent for 12 whole months before a change of lamp is required. 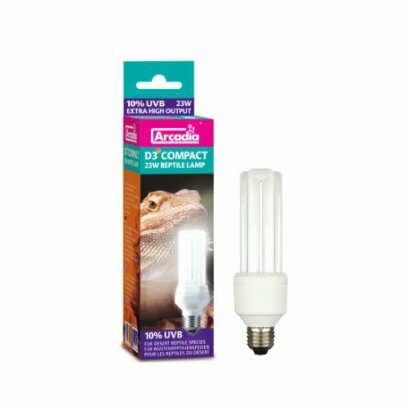 The Arcadia Reptile D3+ 55W UVFLOOD is perfect for use with many of the more arid species including the Bearded Dragon and of course tortoises and also within taller, arboreal enclosures. If you want to provide the best then look no further, The Arcadia Reptile D3+ 55w UVFLOOD really does have it all! 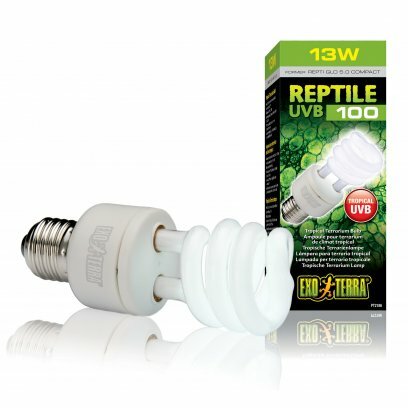 Ideal compact lamp for vivaria use to illuminate Turtles, Terrapins and even hatchling Tortoises. 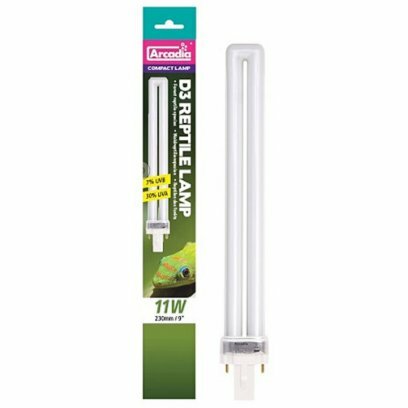 Waterproof terrarium light which includes the Arcadia D3 Compact Lamp to provide essential UVB for your reptiles and amphibians. 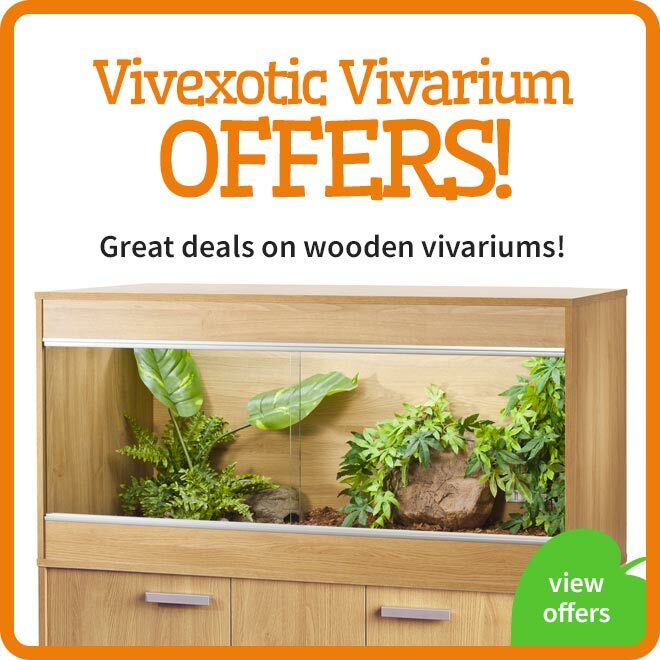 It can also be fitted into smaller wooden vivaria through the fitting holes in the unit. 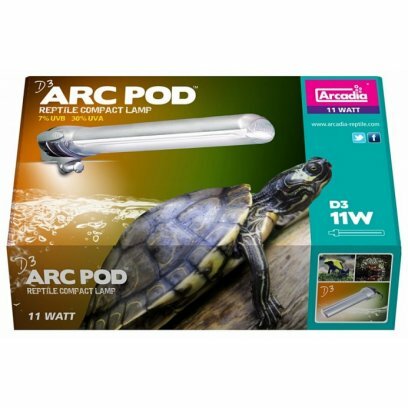 The Arc-Pod is perfect to use with Turtles and Terrapins and even hatchling Tortoises. 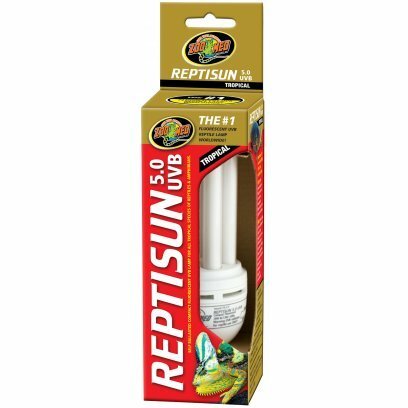 It can be used for Aquatic frogs and toads and poison dart frogs, in smaller vivaria where hatchling lizards maybe being grown and be used as additional, supplementary UV lighting alongside your existing system to create a cool, targeted basking zone. In fact, is a perfect fitting for out of the box plug and go reptile light unit. The product includes the Arc-Pod fitting, fitting brackets and a 11 Watt D3, 7% UVB compact lamp. 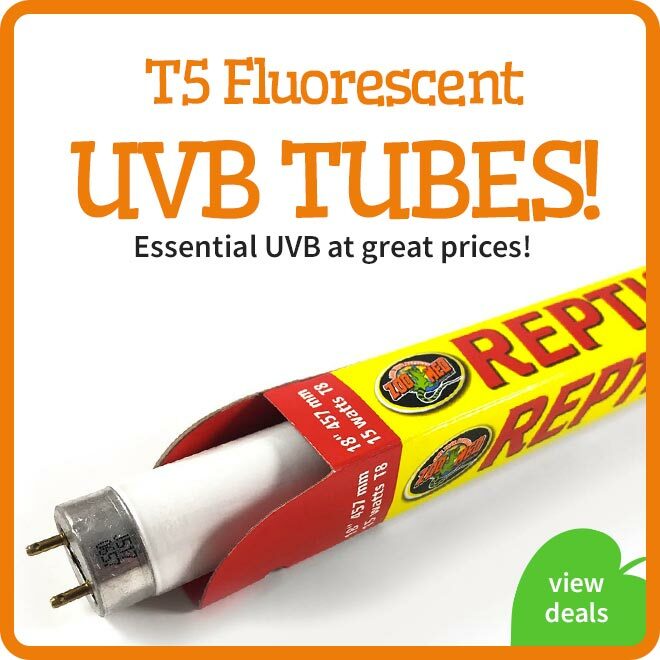 These compact UV bulbs are great for lighting small vivariums or fitting into terrarium hoods.